Israel Remembrance Day, called Yom Hazikaron in Hebrew, is Israel’s official day of remembrance for fallen soldiers of Israel and victims of terrorism. It falls exactly one week after Holocaust Remembrance Day and considering the fact that casualties are very close to home in this small and young country, this day is extremely solemn. You will find places of entertainment closed, flags at half-mast and there are many ceremonies that take place in community centers and by memorials around Jerusalem and Israel. In a way very unique to Israel, Remembrance Day flows straight into Yom Ha’atzmaut, Israel’s Independence Day. As is often customary in Judaism, we remember the heartbreak with the joy. We acknowledge the direct connection between our loss and the independence and sovereignty that we appreciate so much today. Yom Hazikaron is marked on the fourth day of the Hebrew month of Iyar. This year it is commemorated from the evening of Wednesday, May 8, 2019 until the evening of Thursday, May 9 (when Independence Day begins). All local media channels are focused on this day of grief and two sirens sound during the 24 hour period when people respectfully come to a standstill. There are two sirens on Yom Hazikaron. A one minute siren sounds at 8:00 pm on Wednesday evening and a two minute siren sounds at 11:00 am on Thursday. Similar to the siren on Holocaust Memorial Day, people generally stop whatever they are doing – even those driving on the highway – and stand at attention throughout the duration of the siren. It is highly recommended to stand outside for the sirens in order to experience the impact of almost an entire nation coming to a standstill in honor of those who died in order to gain and preserve our freedom. A special screening of animated films from Face.Day.Memory project, with musical accompaniment and personal stories of survivors, wars, and terror attacks. An annual ceremony takes place at the Western Wall as the official opening of Israel Remembrance Day. It begins with the one-minute siren at 8:00 pm which is heard throughout the country, during which the flag at the Western Wall is lowered to half-mast. The ceremony is attended by Israel’s President, Jerusalem Mayor, the Chief of Staff of the Israel Defense Forces (IDF), VIPs, and a large audience of bereaved families. This ceremony which includes prayers, speeches and the lighting of a memorial torch, is broadcast live on Israeli television channels. Memorial ceremonies will take place at different neighborhoods around Jerusalem. Ceremonies will include poetry readings and music, memorial candle lighting, flag lowering, wreath-laying, and reading the names of the fallen. City officials, including the mayor and city council members, and high school students will lead ceremonies at monuments in the neighborhoods of Mishkenot Shaananaim/Yemin Moshe, Abu Tor, Ramat Rachel, Armon Hanatziv and Yaar Hashalom. A commemoration ceremony in memory of Meir Feinstein and Moshe Barazani, members of Jewish Revisionist underground organizations, with the participation of veterans of the underground and other personalities. Mayor Nir Barkat and City Manager Amnon Merhav, with representatives of the underground movements, Nahal, pupils of the Sligsberg School, guests and employees of the Municipality of Jerusalem. 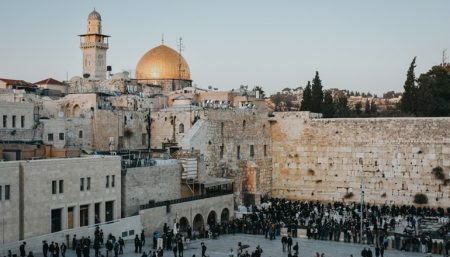 The ceremony will include words from Jerusalem Mayor, City Manager, Rabbi Yosef A. Wasserman, Chairman of the Jerusalem District Team, Kaddish reading by a bereaved father – a Psalms’ chapter, and Yizkor prayer. A wreath laying ceremony attended by Jerusalem Deputy Mayor, bereaved families, Nahal soldiers and residents. Attendees are asked to arrive by public transportation and avoid using private vehicles due to the expected increase in traffic congestion. For information and details about parking and traffic during Memorial Day Eve and Israel’s Memorial Day, please call 106 call center or call *8787 for CallKav call center.